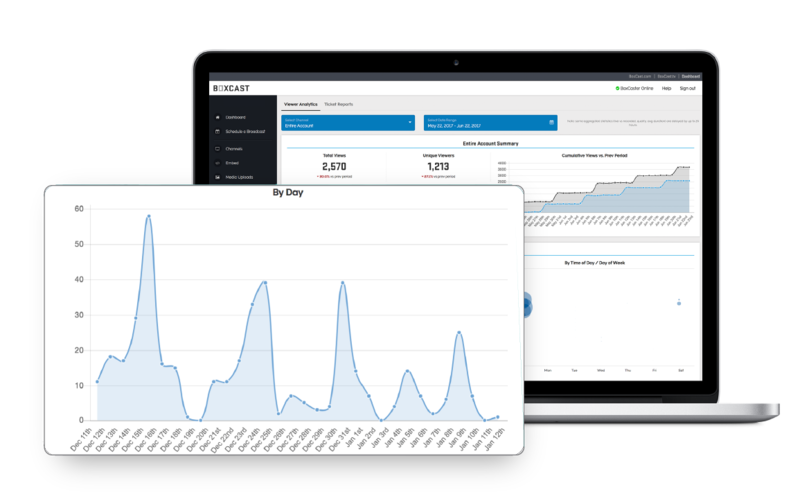 BoxCast's Enhanced Viewer Analytics allow you to gain detailed insights into what viewers watch, when viewers watch (by day and by time of day), how viewers watch (live vs. recorded, mobile vs. desktop, browsers, playback quality, playback host, operating system), and where viewers watch from. With Enhanced Viewer Analytics, you can also see live, recorded & total viewership, peak viewership, a live viewer engagement graph, geo-analytics & viewership by destination. HOW CAN ANALYTICS HELP YOU GROW? See the overall performance of your broadcasts during a certain time period with Total Views, Unique Viewers, Average View Duration, and Watched Broadcasts. 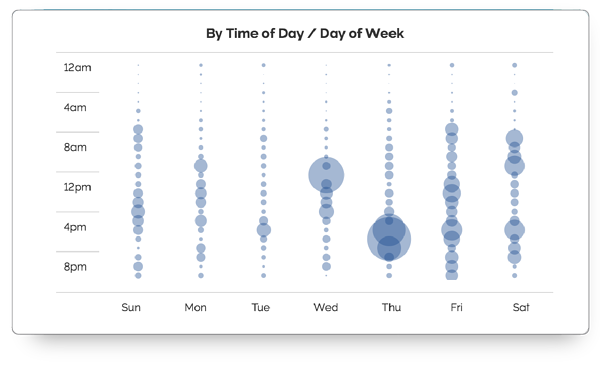 See what days and what time of day broadcasters are watching your content. See how viewers are watching your broadcasts from playback quality, live vs. recorded, what website location, device type, browser and operating system. 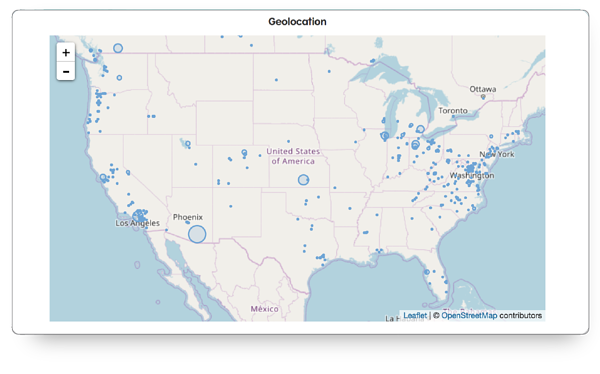 See where your viewers are watching from with IP based tracking of their location. 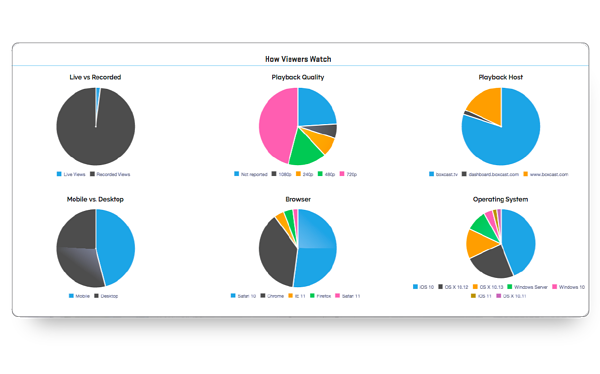 INTERESTED IN Enhanced Viewer Analytics? Request a demo with one of our live streaming specialists.